I am a tea person. I fight with my sister about it because she is a coffee person. I argue that the royalty of England are avid tea drinkers. I am totally obsessed with chai tea. I have a big mug of hot chai with vanilla soy milk every single morning. I get up, make my bed, make my tea, then sit down at my computer to listen to a sermon online or sit in my big comfy chair to read a book. Every morning. I am such a creature of habit. Anyway, so I buy a lot of chai. A can of chai is not cheap. A grande soy no water chai with an extra pump is $5.90 at Starbucks. I spend a lot of money on this addiction of mine! 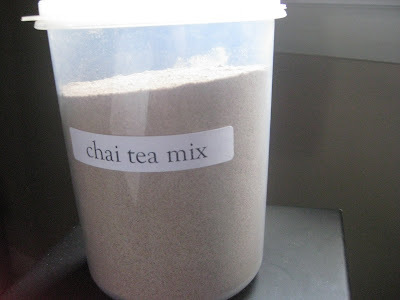 I like my chai not to be too sweet, have lots of spice to it and a strong black tea flavor. So I took the allrecipes.com recipe and put my own twist on it. The end result is awesome, especially if you mix it with all milk and no water. After you combine all the ingredients together, you have to grind small batches in a food processor to get a fine powder that dissolves easily in your drink. I put my batch in a plastic container with a label. In a large bowl, combine all ingredients. In a blender or food processor, blend 1 cup at a time until it becomes a fine powder. 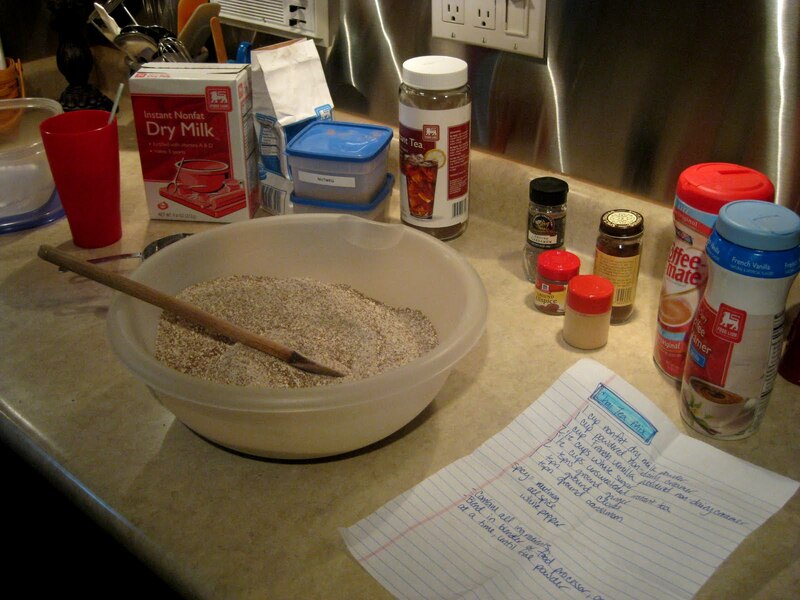 To serve, mix 3 or 4 tablespoons in a hot cup of milk. Or make delicious frappuccinos by blending 1 cup of ice, 1 cup of soy milk, and 3 tablespoons of chai mix in a blender until combined and ice is crushed. This makes the BEST frapps!! Even though this is NOT COFFEE...I love it!!! I love chai! I've never even thought about making my own mix! AWESOME!!! I will be doing this!